The Memorial Service and Celebration of Nipsey Hussle [Live Stream] | RESPECT. Nipsey Hussle’s Celebration of Life and memorial service is about to begin at Staples Center and what is expected to be family and fans nationwide to pay respect to the fallen legend. 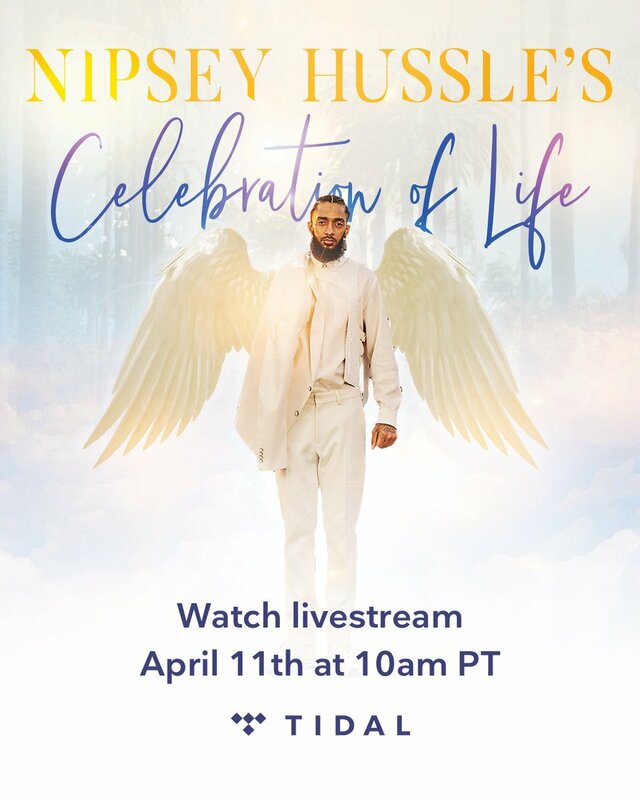 The celebration of the life and legacy of Nipsey Hussle born Ermias Asghedom, is set to take place at the Staples Center in Los Angeles on Thursday (April 11) and is viewed via live stream on TIDAL. It will be live streamed from the Tidal streaming services and a subscription is not required to view the memorial service which is expected to begin at 1 a.m. EST.